Your duvet cover can change the look and feel of your bedroom in an instant. 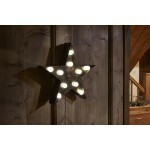 It can add a whole new personality to your room, making it cosy, bright or bold. But, most importantly it can make your bed look 100% more comfortable. 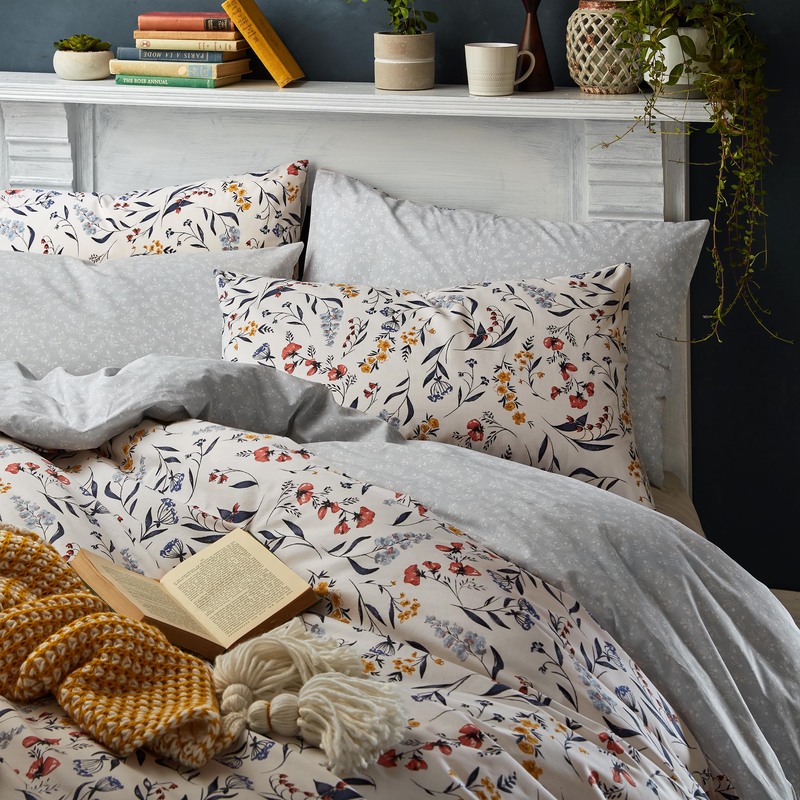 Plus, there's no better feeling than getting into bed with new crisp clean bedding. 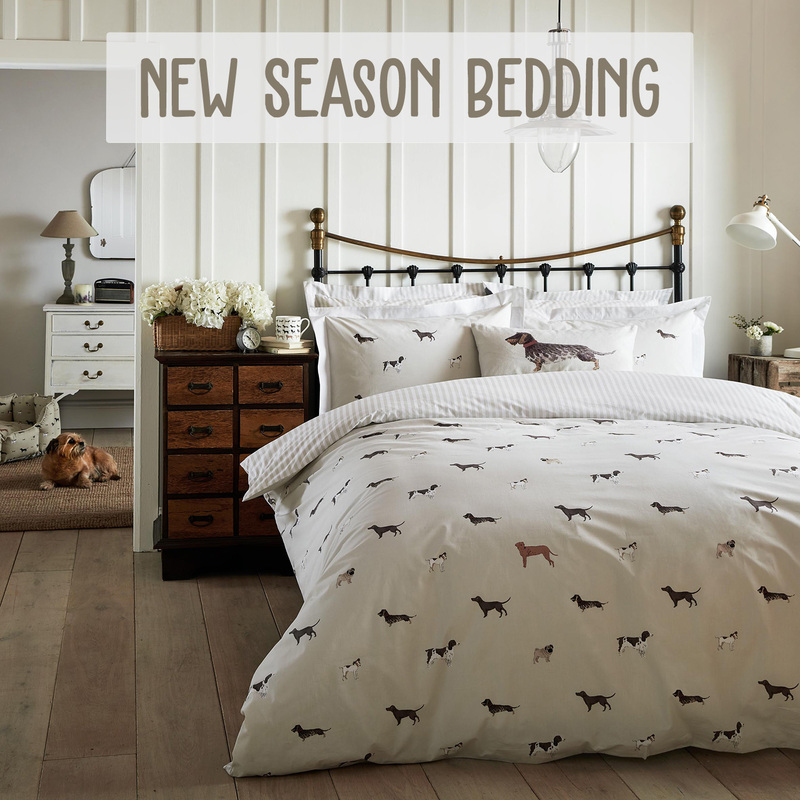 Whatever you are looking for our new season bedding offers a range of styles and designs, all perfect for a new spring look. 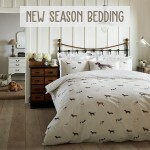 Sophie Allport's range of bedding is the epitome of country chic. All designs in the range feature adorable animal illustrations, which are super popular this season, on one side and spots or stripes on the underside. You can choose from some of Sophie's most popular designs, Bees, Flamingos, Woof or Hare collections. To make your bedspread even plusher and inviting add a couple of throw pillows; available in the Bees, Woof and Hare pattern. These ranges are perfect for animal lovers, country lovers or anyone who just appreciates fun and quirky bedding. What's more, this bedding is reversible so you can change the look of your bedroom without having to spend more money! These are sure to be a firm favourite this springtime but thanks to the neutrality of the colour scheme, they will work all year round. Yellow is still a prominent colour this season but if you think block colour would be too much for your room, try this Racing Green Soho Duvet Set. 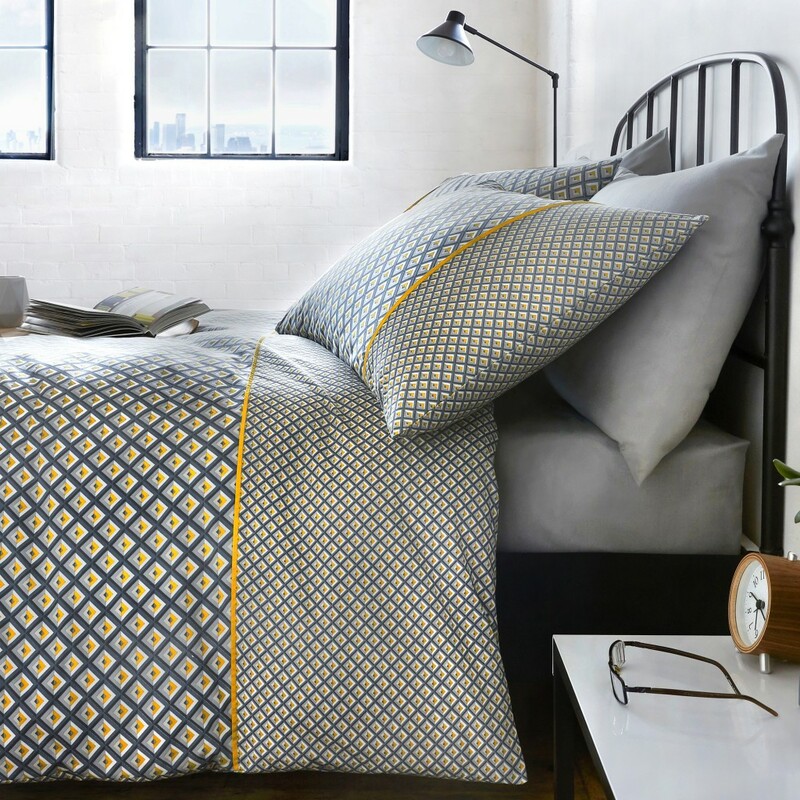 The geometric diamond design in shades of grey and yellow, complete with yellow piping is the perfect way to brighten up your room with a modern vibe. 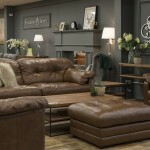 Its super sleek design and finish will really add the finishing touches to your room this spring. Pair with modern furniture to complete the look. Flowers is always a popular trend for bedding and this year there is an emphasis on the pressed flower look. 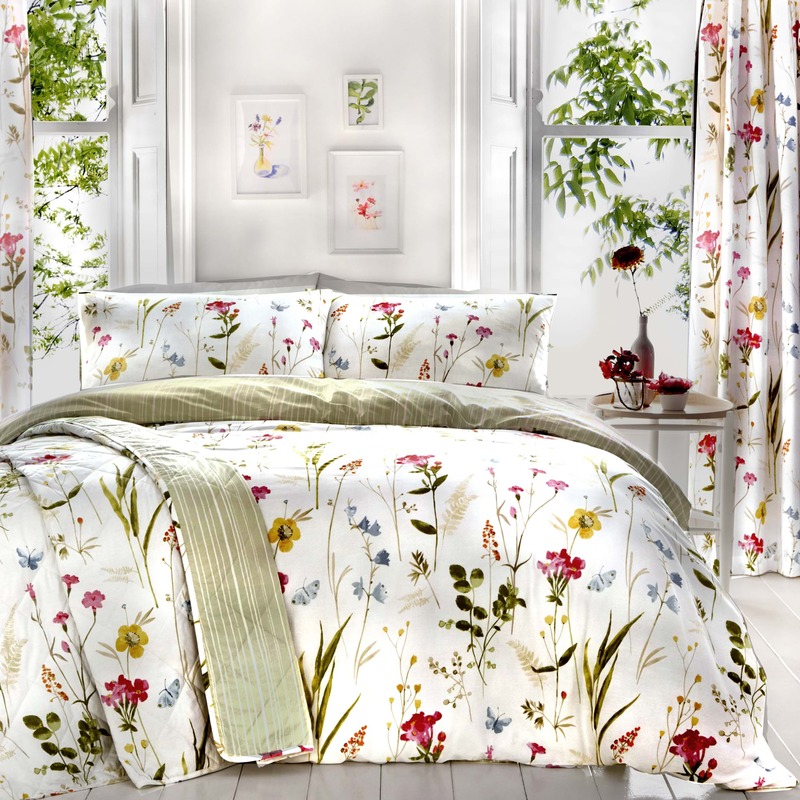 The Spring Glade range of duvet sets offers a traditional flower feel with a modern touch. This set also features the ever fashionable reverse side pattern. In contrast with the bright colourful flowers, the reverse side features white and green abstract stripes. Whichever way round you choose to lay this cover, it's sure to bring a fresh new spring look to your room. Fat Face also has a flowery duvet set this season, but with a softer and more modern country look. The pretty pressed flower pattern with red and yellow splashes is perfect to freshen up your bed this year. The reverse side is designed with small white flowers on a subtle grey-blue background. This set is sure to make your bedroom looks extra cosy and homely. Place a throw in a complementary colour at the bottom of the bed to give it a more textured look and make your bed photo-worthy. 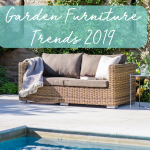 If these have caught your eye and inspired you to update your bedding this springtime, head on over to our bedding page where you will find all of our current ranges.